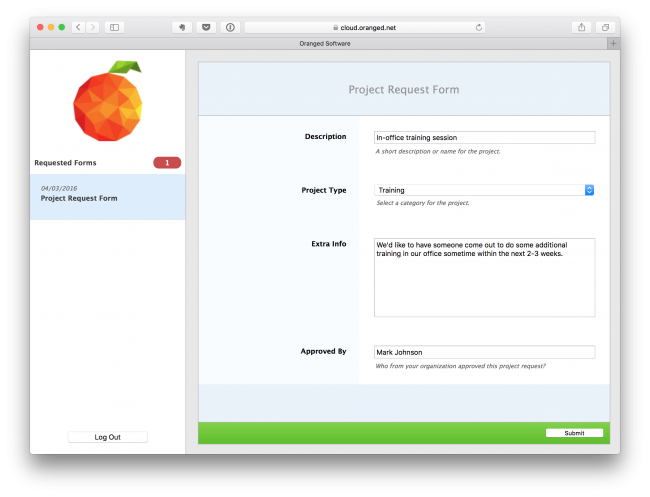 New Feature: Forms. A form is a saved list of questions and fields that can be sent to your Client for a response, or entered locally in Studiometry. CLOUD: Can now send forms to your Clients for entry on Studiometry Cloud. They'll receive a notification, and their responses will appear directly in your Studiometry data. Did I sleep through 12.3 and 12.4? Nope. We skipped them since 12.5 has so many large and permanent changes. I appreciate the 12.5 update and new features. I want to be the squeaky wheel and repeat my Feb. 23 request for the ability to tag clients and projects. Although it didn't make this upgrade, please don't forget to look into it for the near future. Thank you!